What a pretty card! I love all the vintage details. 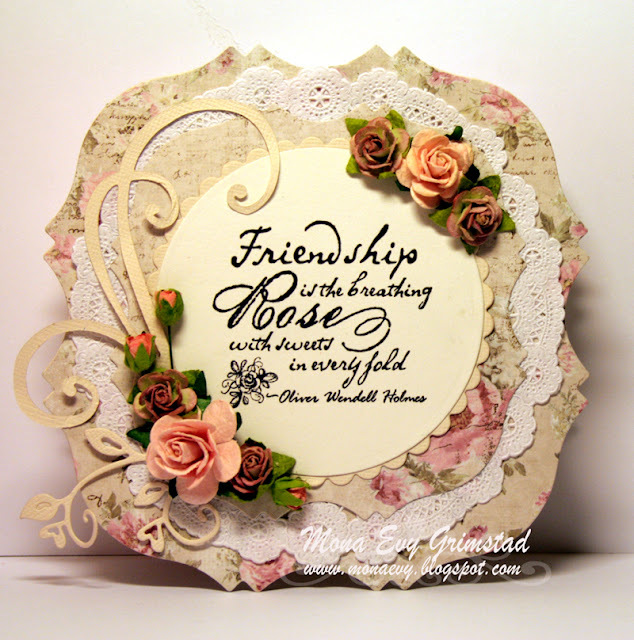 Such a pretty card - lovely papers, beautifully layered with that doily, and your flowers are gorgeous! Så flott kort! Digger formene og fargene, lekre dies og blomster, og herlig tekst.